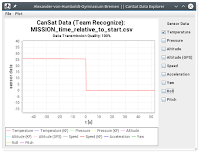 Today we made a routine inspection and found a hardware fault at the Pi 3 from our second CanSat. 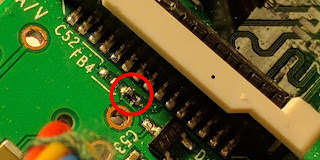 We assume that a part of a chip of the camera interface was broken off. 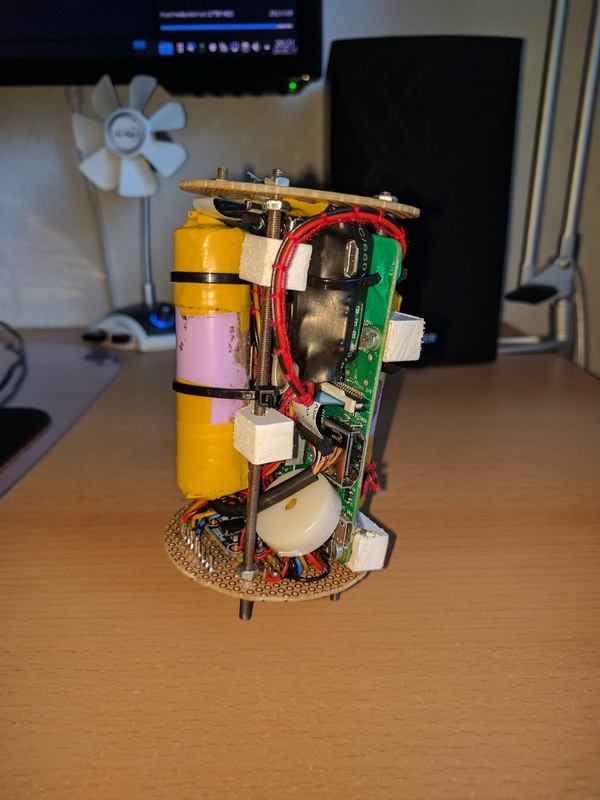 So we will only be able to use our first CanSat at the competition. 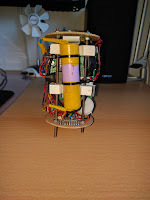 Now we plan to use the second CanSat as a dummy during the competition. 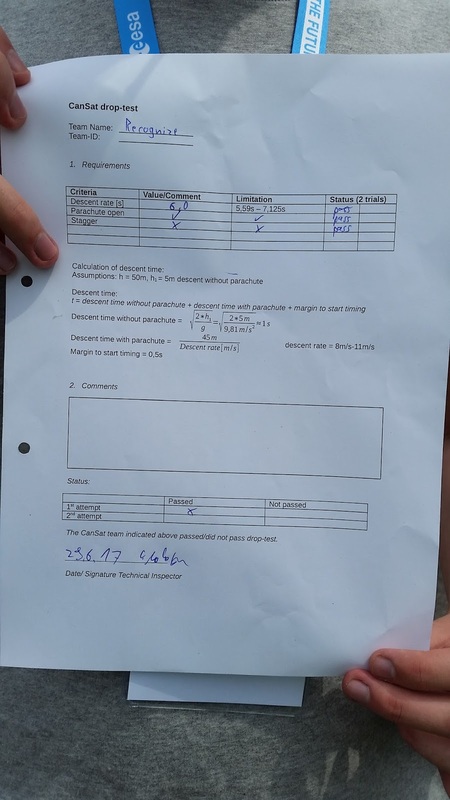 Finally, we have finished our exams so we can start working on our CanSat again! Our present plan foresees that we will keep our secondary mission, but we will improve it! 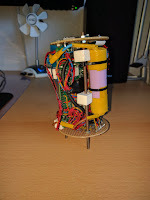 Thus, individual technical components will be replaced. The Pi 2 B will be replaced by a Raspberry Pi 3, so more power is available for our software. 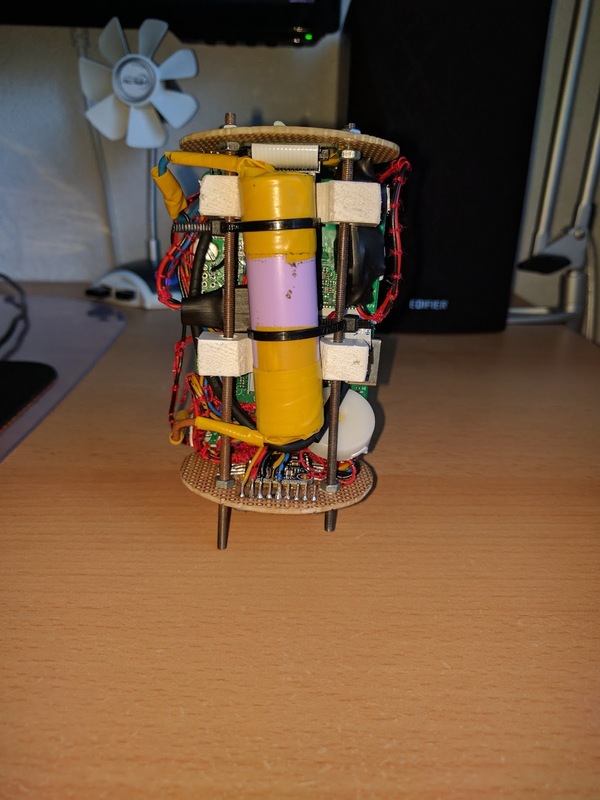 As well, the current version (V1.3) of the PiCam will be replaced by the more recent one (V2). Our basic concept of construction (boards with elements held together by 3mm threaded rods) has proven itself and will be therefore unchanged adopted. 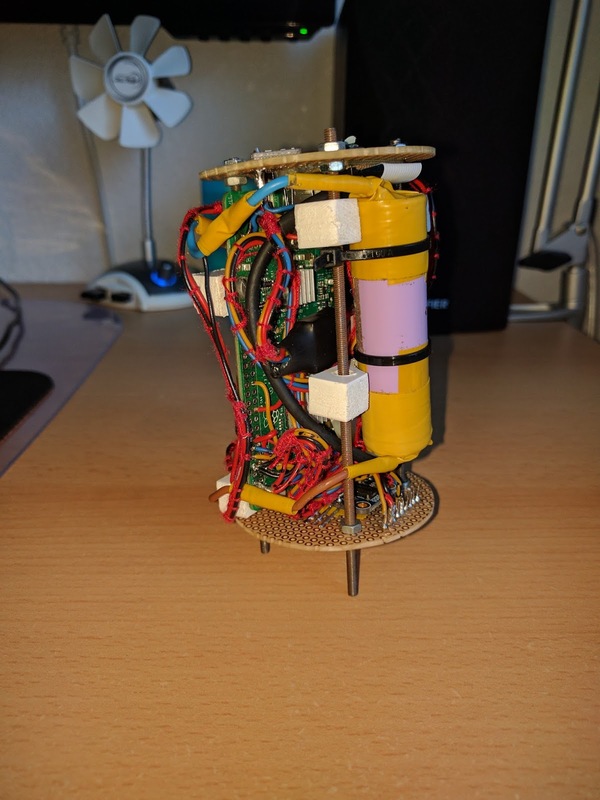 As an innovation, we are currently testing whether we can replace the radio connection by a WLAN connection so that we can save the T-Minus radio module. To capture the signals we want to use a WLAN directional antenna. 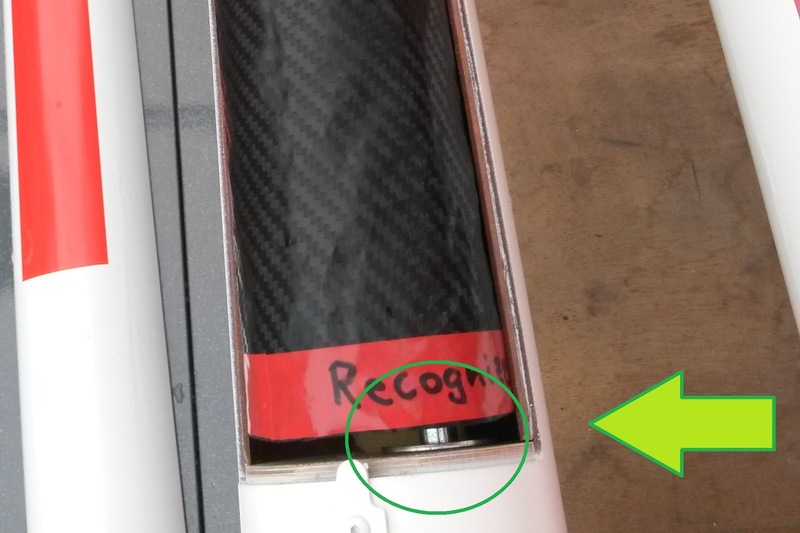 consequently, we are looking for a non-metallic shell for our CanSat, because our existing aluminum sheath would shield the WLAN. The recovery unit should also be optimized. 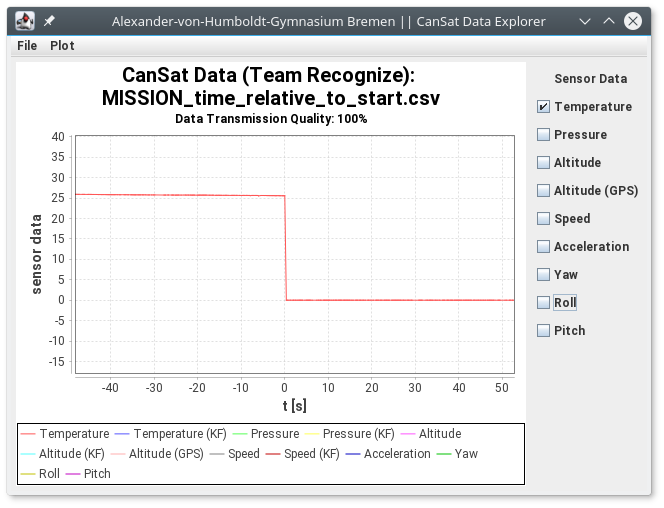 So we want to extend the joint between CanSat and the parachute (from 15 cm to> 50 cm) to counteract the pendulum movements during the fall. That the current competition will take place internationally, so we will continue this blog in English. More details / information will follow soon. 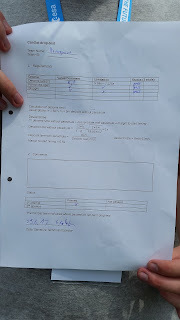 After, or by winning the German CanSat competition, we are qualified for the European level. But what does it mean now? What goals have we set ourselves? 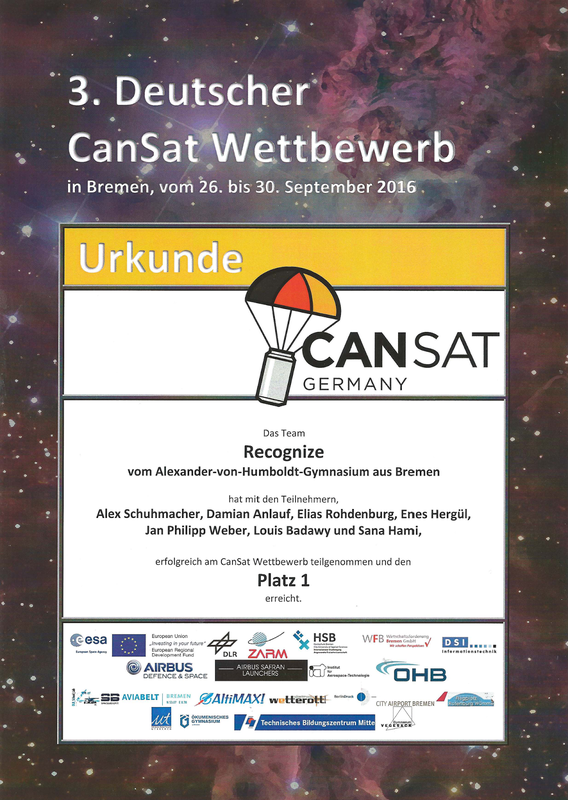 The "actual" European CanSat competition 2017 with the rockets launching and presentations will take place in Bremen, Germany from 28.06.17 until 02.07.17. The working time for these intensive days has already begun. There were two interesting candidates: Portugal or Norway. As a result of the competition being "international", we will continue our blog in English . What goals have we set ourselves? First, that the rate of measurement errors at the sensors has to be minimized or eliminated. Second, to select and install a new camera (ISO values ​​have to adapt more quickly - further minimize the green hue/tint on our pictures , the shake and the blur). 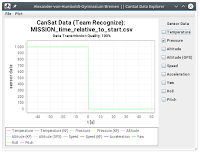 Third, the reliable wireless connection of the CanSats could still be increased (works so far with a reliability of approx. 70%). Fourth, computer has to be changed, because the Raspberry Pi 2 from the RAM is not enough for our program or takes too much time. This is dependent on the improving progress of the software. So it could happen that we have to change our design again. Today, after the very interesting tour of the Airbus, the award ceremony took place. 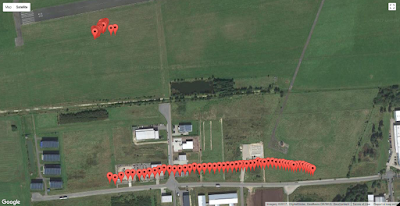 Beforehand is to say that the distance between the teams was very tight. 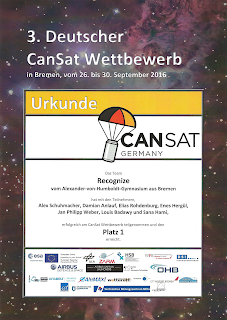 We are pleased to announce that we have been awarded the 1st place in the German CanSat competition 2016. In doing so, we have qualified for the participation as representatives of Germany in the European competition. We are all very much looking forward to it and would like to thank our sponsors - "encoway" and our school club -, which have made our success possible. Today the presentations of the results of our missions took place. It was very interesting to watch the 10 minute long presentation of each team and to compare our results / conclusions with them. 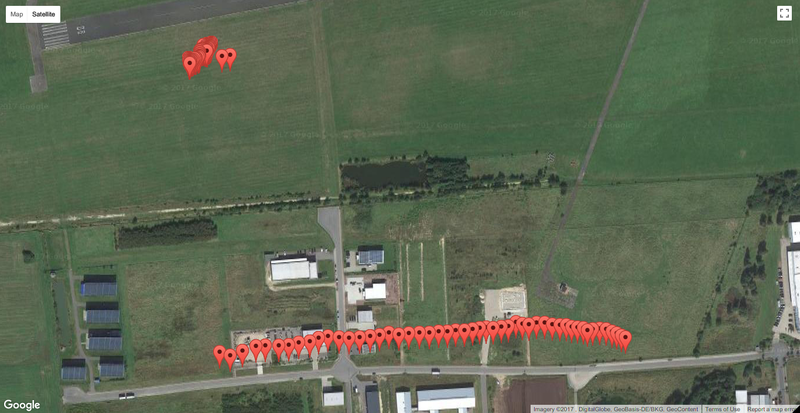 Today was the big day where all satellites ,always two of them in a rocket were allowed to start.The launch took place at the airport Rotenburg (Wümme). 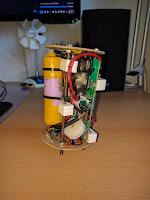 At our last meeting we tested the radio link between our CanSat and the ground station.